For the most wonderful scuba diving around Indonesia and possibly the world, liveaboards are the way to go. 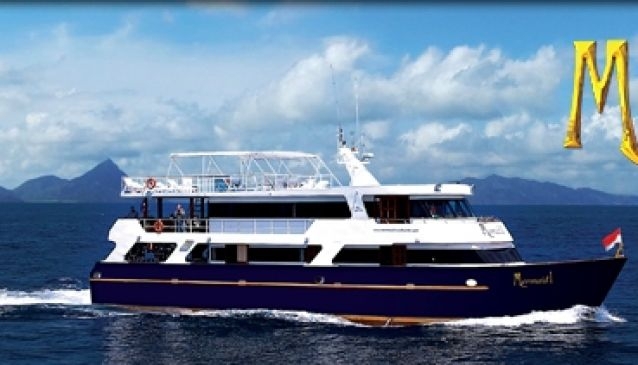 Indonesia Liveaboards is the operator of the Mermaid Liveaboards fleet, M/V Mermaid I and M/V Mermaid II. The company offers first class liveaboard dive trips to world class dive areas in Komodo, Maumere, Alor, Banda Sea, and Raja Ampat in Indonesia. The crew strives to offer customers the best possible dive and liveaboard experience that creates long lasting memories of an excellent dive holiday. Mermaid Cruise operates year round, taking advantage of the different 'high seasons' throughout South-east Asia. Both Mermaid I and II operate in Raja Ampat from November to early May. Diving takes place at the world famous Wayag, Dampier Strait, and the Misool of Raja Ampat. From June to October of each year Mermaid I and Mermaid II operate out of Bali, providing 8 day/ 7 night or 10 day / 9 night liveaboard dive trips to Komodo, Indonesia. New species of fish and coral are still being discovered throughout the Indonesia archipelago. When planning your next trip to Bali, call the experts; you will find All4Diving the best liveaboard selection.